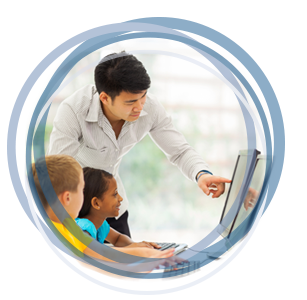 Gain high-quality, personalized RTI training for teachers and administrators by bringing Solution Tree's RTI at Work experts to your school. 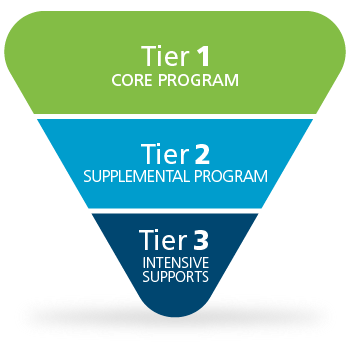 Discover proven teaching strategies and tools you can rely on to help improve your interventions at all tiers of the RTI pyramid and keep the focus on what's really important—high levels of learning for all students. Where are you on your professional learning journey? An expert RTI at Work author or certified associate will energize and engage your team to help build momentum in your RTI practices. Our keynoters can address the topic that is right for your school, including an introduction to the essential elements of RTI, strategies to help prioritize learning outcomes, or the most current best practices for interventions and enrichment. Recommended for: Schools and teacher teams who practice RTI and MTSS and who are ready to take the next step. This service is also for onboarding new teachers in schools where the RTI at Work model is implemented. Learn to refine your RTI processes or overcome your RTI challenges in this workshop for school teams. RTI is not a series of implementation steps to cross off on a list, but a way of thinking about how educators can ensure each student receives the time and support needed to achieve success. Help your school make RTI efficient, effective, and equitable. Create and support teacher, leadership, and intervention teams. Address complex issues such as motivation, attendance, and behavior. Give all students the help and enrichment they need. Discover practical strategies to build intervention and enrichment periods into the school day, and overcome implementation challenges to ensure all students are successful. Work in collaborative teams to create targeted interventions and enrichments. Revise schedules to build intervention periods without extending the school day. Understand the challenges to creating intervention time, and gain tips to overcome them. Give your staff on-site RTI training from an expert with firsthand experience. Your coach will provide specific direction based on your team’s unique challenges and goals—from establishing a multitiered system of support to making time for quality interventions without compromising core instruction. This targeted support will empower educators at all levels to take the necessary daily steps to ensure they meet every student’s academic and behavioral needs. Partner with us to develop a custom learning plan designed to meet your unique needs and challenges. With our evidence-based RTI content along with on-site professional development and virtual training opportunities, we are uniquely positioned to help you build an MTSS that’s strong enough to make a real difference in student achievement. This focus on initial instruction, systematic response, and system refinement will result in a highly motivated cadre of leaders who act as change agents for RTI within your school or district. The vision of RTI at Work is for collaborative teams to work together to identify what’s most essential for students to learn, develop common assessments that measure learning, and provide targeted support to learners who need it. The four Cs are the essential guiding principles of RTI—without them, it is impossible for schools to ensure all students succeed.